OK… so it’s a couple of weeks since the Blog got off the ground. And in that time it has had 2000 views. And staff have mentioned it as we have passed in the corridors and on the wards. It just goes to show how things can be if we look at them another way. The one way is all doom and gloom. Everything is bad and failing. There is no escape from the inexorable collapse of the NHS. 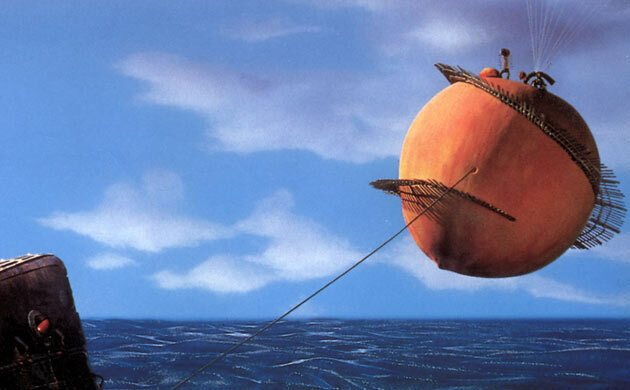 Remember James and the Giant Peach. The poor earthworm who was nearly eaten on a fishing hook, and who then tempted the birds to eat him so that they could fly the peach. The way he saw the world was through the spectacles of doom and gloom. So James gave him some advice and changed the way he viewed life. James: Whenever I had a problem, my parents told me to look at it another way. Earthworm: *How*? First, I was bird bait, and then I was *shark* bait. James: That’s true, but you could say that you gave us wings to fly, and that you defeated a giant shark single-handedly. 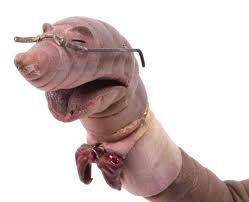 Earthworm: I am. I’m Wonderworm! And when you look at it that way… well it’s amazing how you can see the opportunities. The more you look, the more you see. My friend Judi Barratt, who when faced with a phone call from me to sort something out, didn’t give a big sigh as if it was too much trouble. Got onto it, and sorted it out, because it made a difference to some parents in tragic circumstances. Or the staff on Avon 1, who (at a funeral I took yesterday) had praise heaped on them by the family of a patient for the way they treated him in his last weeks of life. Or Jackie and Claire in the Bereavement Office, who treat so many who come into this place, with compassion and care. Or Anita Cupper, Matron, who stopped me in the corridor and who is clearly passionate about the service which is delivered to patients. Or Anita Fulton, at ServicePoint, who goes the extra mile for me. Or Car Park Jon, with a heart of gold. Or Mo, the Wayfinder volunteer, for whom nothing is too much trouble and will go out of her way to help those finding their way around this place maybe for the first time. I hesitate to say that these are all Wonderworms, but you know what I mean. Small things can make all the difference. It’s just about looking at things a different way. And the more I look, the more I see the amazing things we do. This entry was posted in Uncategorized and tagged chaplain, chaplaincy, good news, healthcare, nhs, nursing, patient experience. Bookmark the permalink.